Everything is somewhat more gargantuan in Texas, so its only natural that Houston has its eye on having the largest network of electric vehicle chargers in the country. The plan is a privately funded brain-child of power plant operator NRG Energy, which hopes to install 150 charging stations in the 25 mile vicinity of downtown Houston starting in February. 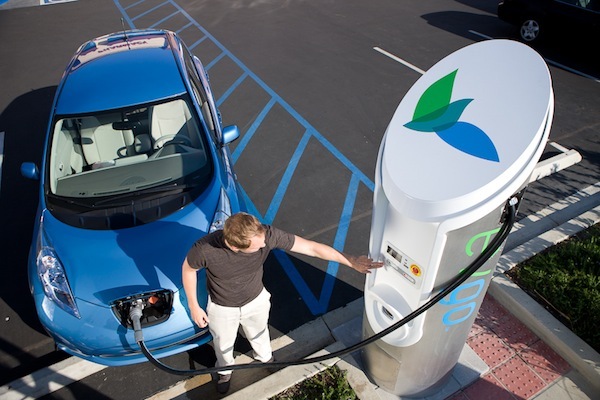 Chargers will be placed at common retail locations such as Walgreens and Best Buy, but given that 80 to 90 percent of charging will occur in homes, an $89 all-you-can-juice monthly plan will also include the installation of 240-volt charging systems in residences. NRG doesn’t expect to turn a profit on its $10 million investment for several years, but hopes that taking the proactive step will create a lucrative business in the future as electric vehicle prices (hopefully) hit the skids. The company also wants to build a similar network in Dallas in early 2011, and perhaps San Antonio and Austin in the future as well. Still, while the plans are admirable for the home of big-oil, compared to London’s government-backed 1,300 station plan, NRG’s Houston aspirations still seem positively Rhode Island-sized.